Prologue Inc. is a Canadian book distributor providing trade book publishers with a full range of marketing, sales representation and distribution services for French language books and other book-related products throughout Québec and French Canada. Its customer base totals 4,500 accounts. Prologue markets and distributes, on an exclusivity basis, books of a large number of publishers from Canada and Québec as well as from France, Belgium, Germany, Switzerland and Italy. Always evolving, Prologue has developed its own secured digital warehouse in order to provide publishers and retailers with marketing and distribution services combining both the print and the digital formats of books. Prologue Inc. was established in 1976 by Francine Paquette and Guy Saint-Jean initially to represent a number of French language publishers from Québec and Europe. Prologue grew through the eighties and nineties to become one of Québec’s largest book distributors. Consequently, throughout the years, it had to move a few times into larger premises until its own warehouse and office building was built in 1990. The building was enlarged in 2001, in 2003 and in 2005. A second distribution center was built in 2007. Guy Langlois bought Guy Saint-Jean’s shares in 1996 and joined the company as Chairman and CEO. He initiated a program to further expand Prologue’s operations. Francine Paquette is President of the company. Prologue has enjoyed constant growth for 40 years. Special book promotions, author tours, book launches, etc. 38 sales people and 30 rack jobbers are active in sales and marketing of French language books distributed by Prologue. The sales and marketing organisation includes 18 Sales representatives regrouped into three sales teams. Each sales team is under the leadership of an experienced and knowledgeable Sales Director. Prologue’s field and operations sales staff includes some of the most experienced and highly-skilled people in the Québec book industry. All sales representatives have been trained to maximize orders by backlist selling as well as through frontlist sales. The Prologue sales team is thoroughly experienced in selling general trade and scholarly titles, fiction and non-fiction, art books, children’s books, computer books, books related merchandise and sideline products. Prologue is in constant contact with Québec's mass and news media to introduce new releases and to provide information on new books through press kits, review copies and press releases. Prologue also organizes various media events including press conferences, author tours, interviews and book launches. Prologue is equipped with state-of-the-art Information Technology. This technology allows all levels of its organization to efficiently meet the growing requirements of publishers as well as retailers. Prologue’s powerful computer system, installed in 2000, upgraded in 2003 and again in 2005, allows the company to constantly improve its business processes. Prologue uses EDI and FTP technologies for electronic commercial interchange with its retail customers equipped to use such technologies and provides monthly sales reports through the Internet to those of its publishers who so desire. For the past 5 years, Prologue has been an important player in the eBook distribution industry. Prologue has built its own digital warehouse with a distribution and marketing infrastructure that allows publishers to deposit, protect and manage theirs eBook rights in a secure manner. More than 40 000 files are stored and distributed in more than 1000 online point of sales, across 80 countries and delivered in 18 currencies. Publishers: conversion, secured storage, metadata management, pre-sale view, digital right management (DRM), distribution, marketing, statistics and sales reports, publishers’ web site sale system. Retailers: Ebook (ePub and PDF) catalog integrated on their web site and marketing services, libraries renting sales system. Prologue maintains its own 110,000 sq.ft. warehouse and office complex in Boisbriand, Québec, on the northern outskirt of Montreal, a few kilometers away from Pierre-Elliott-Trudeau International Airport in Dorval. The building was first enlarged in 2001 so as to double the warehouse space, a second enlargement was completed in 2003 and a third extension in 2005. A second distribution center was built in 2007. From its warehouse in Montreal, Prologue achieves one of the shortest delivery cycles in the Canadian book industry. The company installed new state-of-the-art warehousing equipment in each of the last four years in order to achieve its goal of maintaining the shortest delivery cycle in the Canadian book industry. For thirty-nine years, Prologue has developed tried and tested techniques to promote, market and sell books while keeping abreast of new developments in technology and marketing opportunities. The company’s operating pattern ensures that it continues to offer the best, most comprehensive and reliable marketing and distribution services available in the Canadian book industry. Every year, Prologue is present at all ten Quebec book fairs, at many educational conventions and at major national and international book fairs including Book Expo America, the Frankfurt Book Fair and Le Salon du livre de Paris. With a distribution network that extends right across Québec and French Canada (particularly in New Brunswick, Ontario, Manitoba, British Columbia and Alberta), Prologue’s customer base comprises 4,500 accounts, 500 French language bookstores and more than 4,200 additional warehouse stores, mass market stores, drugstores and drugstore chains, and specialty stores. Prologue is present in all independent and chain bookstores across Québec and French Canada. All warehouse clubs, superstores and mass-market stores including Costco, Wal-Mart, Maxi & Cie, Maxi, Provigo, Loblaws, Réno Dépôt, Le Groupe Rona, Home Depot, Canadian Tire, Toy's’R’Us, Métro, Omer de Serres. All drugstores and drugstore chains including Jean-Coutu, Essaim, Pharmaprix, Uniprix, Obonsoins/Santé Services, Brunet, Familiprix, Famili Santé, Michel Cadrin. Numerous specialty retailers : toy shops, gift shops, stationeries, office and school supply buying groups, museums and art galleries, health foods stores, garden centers, pet shops, craft and art material shops, riding centers and other niche retail markets outside the traditional book trade. All independent and chain retailers of computer supplies and accessories located in Québec including Camelot Info, Future Shop, Hartco (Compucentre, CompuSmart, Micro Age, Compuco), etc. The Quebec legislation prevents Prologue from selling directly to the educational market and to public libraries. Nevertheless, Prologue is present at various educational conventions in Quebec and in French Canada while its sales representatives visit public libraries. The eBook distribution network is constantly growing. We are presently connected to more than 1000 online point of sales across the world, regional and international. 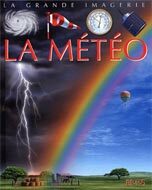 The major retailers are Archambault, Renaud-Bray, Livresquebecois, Ruedeslibraires, Numico, Coopsco, Apple, Kobo, Amazon, Barnes & Nobles, and many others in Europe and in the United States.